US Speedo's patented Stainless Steel Gauge Faces are the perfect enhancement to your vehicles interior. The Stainless Steel is a very exquisite high line look. The design team at US Speedo has made these gauge faces to look very similar to the stock (OEM) gauge faces. Keeping some of the stock styling gives the speedometer a factory upgraded look. 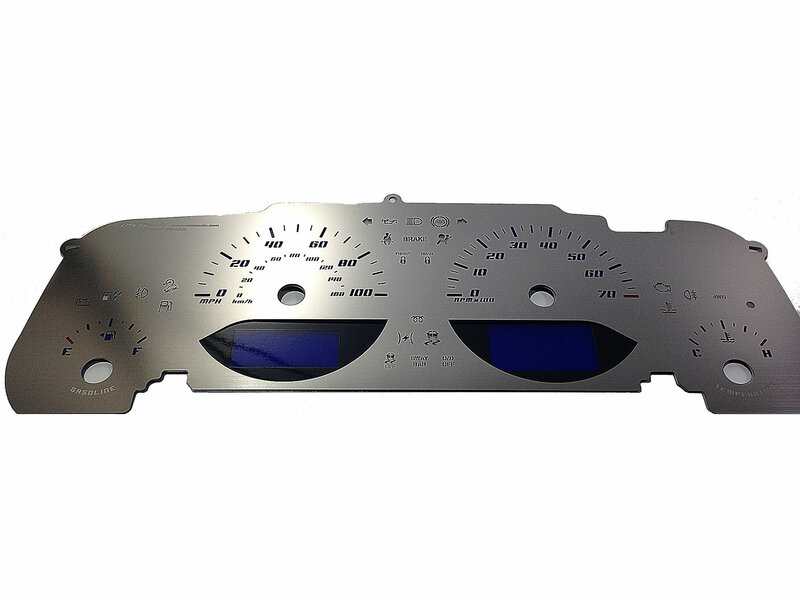 With the new US Speedo Stainless Steel Gauge Face Kits you can choose either blue or red Numbers and Night lighting. Reuses factory gauge needles.